Spanish is the official language but there are 23 indigenous Mayan dialects. For European citizens and the United States, a valid passport and a plane ticket round trip are required to enter Guatemala. No visa required for stays not exceeding three months. Bring cash (150 quetzales ) with you on your way out of Guatemala, so you can pay airport charges. If arriving from Mexico on the road, you will complete a form of tourism in the border posts in the same way he would surrender when up on plane and pay income tax. 75% Catholic, 25% of Protestant and evangelical. The official currency is the Quetzal (GTQ), although it is impossible to obtain Quetzales in Europe. Because this money is pegged to the U.S. dollar, the dollar cash is the best currency to take to Guatemala.Pounds and euros are not generally accepted in Guatemala. Most shops accept dollars and banks have no problem to change them into local currency. International credit cards (including American Express and Visa) are widely used in capital and major cities of Guatemala, where you will find a number of ATMs. Avoid being misled by currency traders on the black market, especially in the capital. Banks are open Monday through Friday from 9:00 am to 3:00 pm and Saturday morning. the capital of Petén. However, the bus, which lets you know well the sights of Guatemala, is the means of transport used by the people guatemalense to travel around the country. Note that, depending on the price, which is always very accessible, some buses are more comfortable than others. If you want to be more independent, however, you can rent a car in the big cities and towns. Only with a driving license in your country is enough to rent a car but you have to have at least 25 years of age and provided they do not wish to rent the car for over a month. For that you need an international license. The Panamerican highway connects the capital with the people of the highlands and Antigua. Be careful: In addition to the main roads, roads are generally in poor condition, and this slows the speed at which you can drive that is already fixed at an average of 70 km per hour. You are strongly advised not to drive at night. As for taxis, which are less expensive outside the capital, calculate pay about 20 to 30 Q for a short trip. No particular vaccine is required to enter Guatemala, but it is strongly recommended to be vaccinated against typhoid and hepatitis A and B, and to keep up with routine vaccines also be applied tetanus, polio and diphtheria. Another precaution to be taken into account in low-lying areas and wetlands of Guatemala is covered at night with clothes that cover all your skin and apply a powerful mosquito repellent since they are carriers of West Nile fever dengue and malaria. They do not cause any real damage in Guatemala, but it is better to take preventive treatment. Avoid drinking tap water and purification tablets to take water with you just in case. Also is a good idea to bring an anti diarrhea, intestinal disinfectant and antiseptic with you. The voltage is 110 V. It is advisable to bring an adapter for electrical outlets. 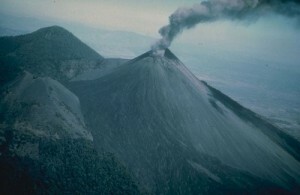 1.3 million tourists visited Guatemala in 2010. Goods and services include a 10% tax and restaurants, a gratuity of 10% is what you expect to receive the boy.